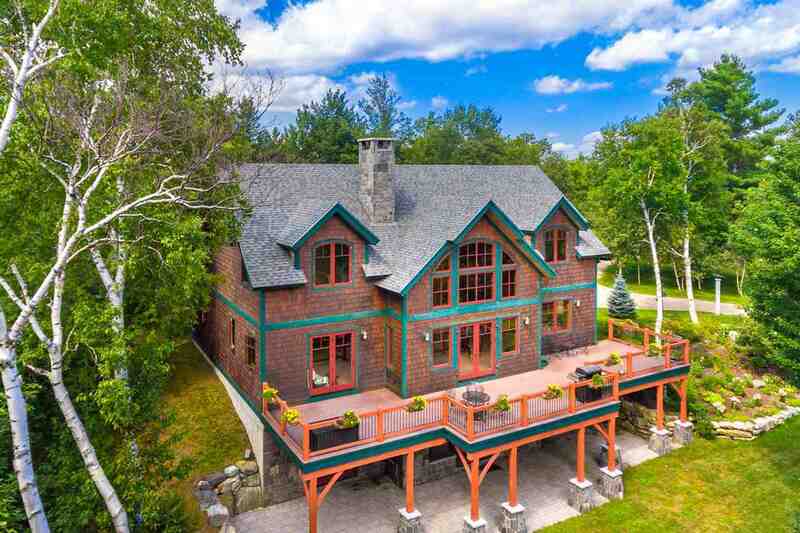 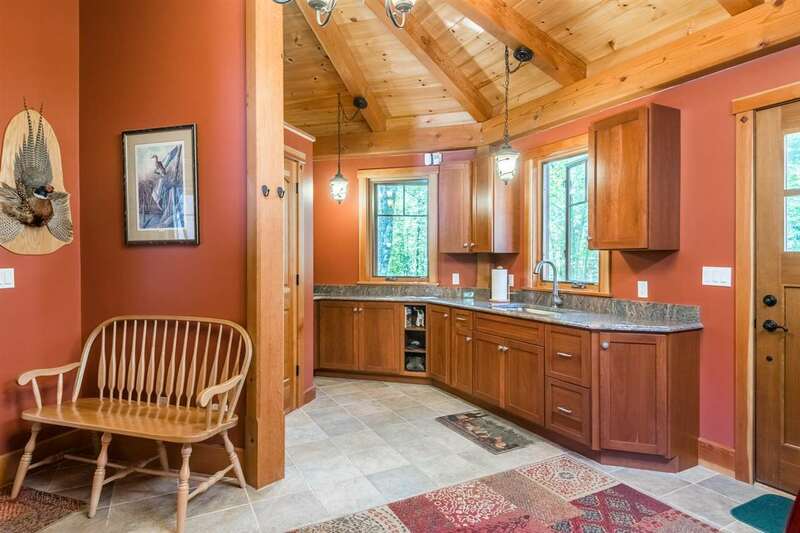 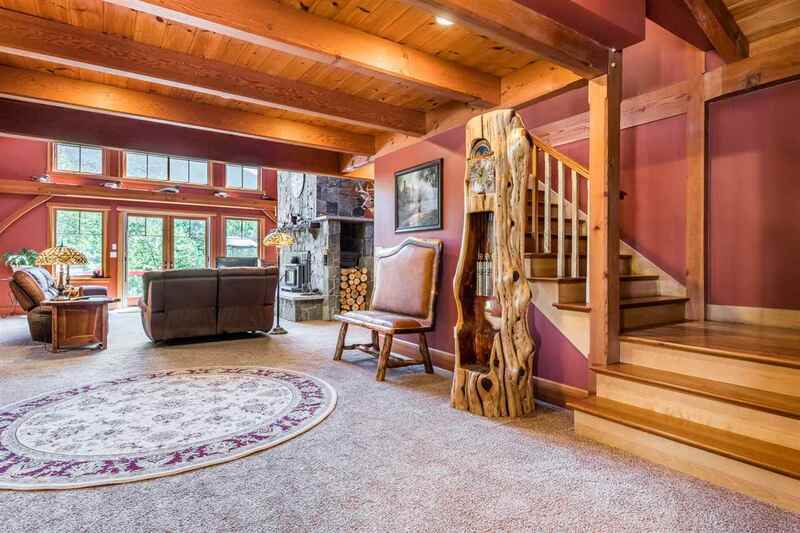 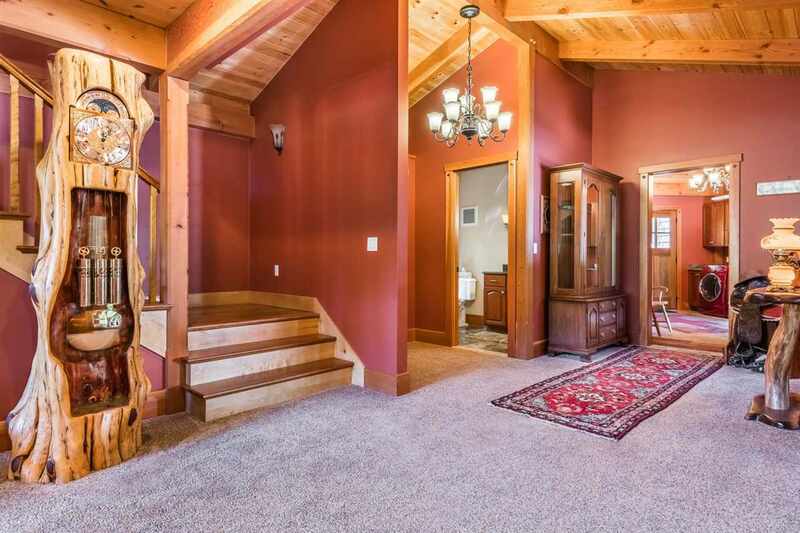 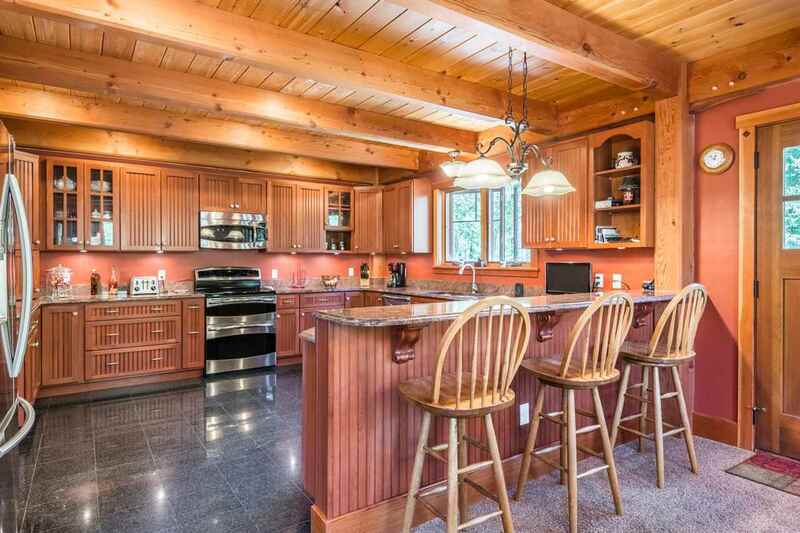 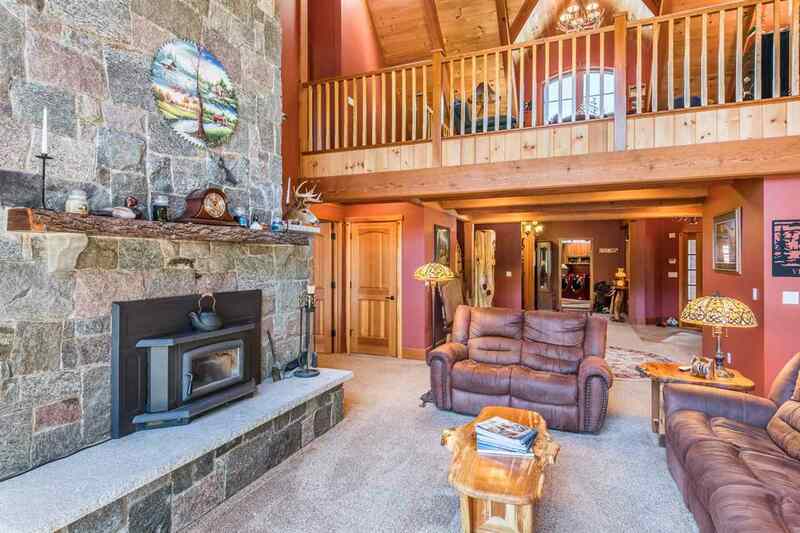 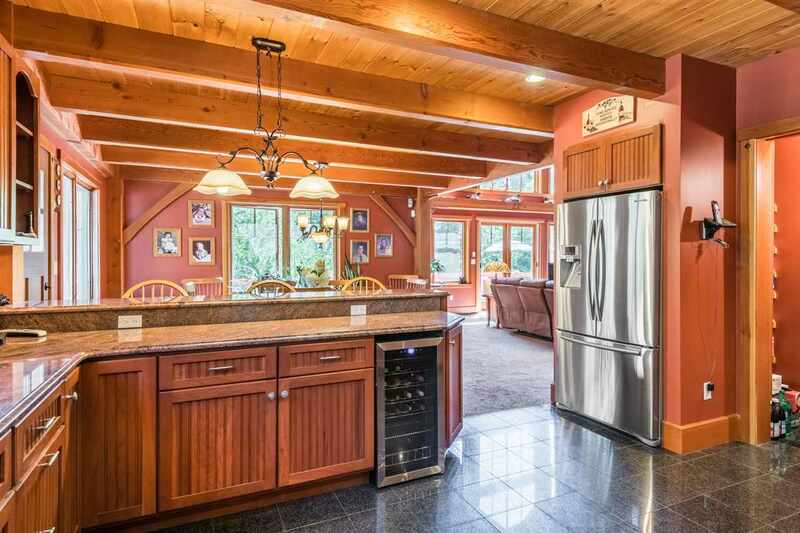 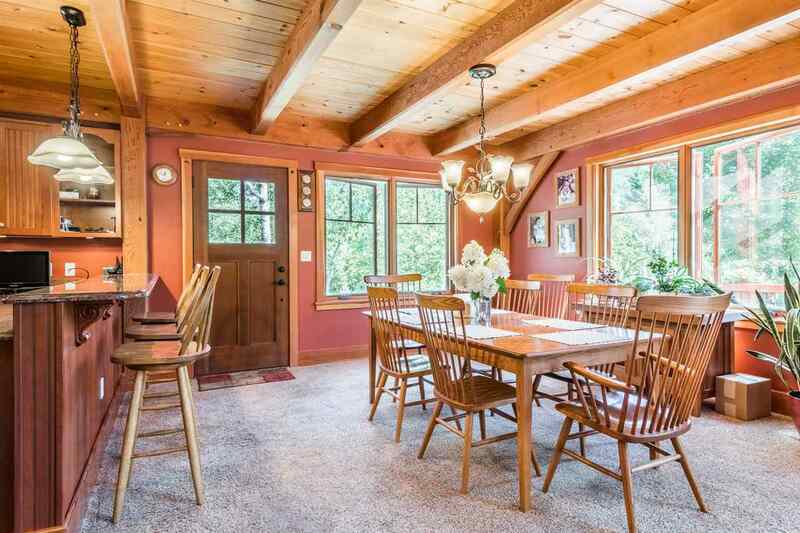 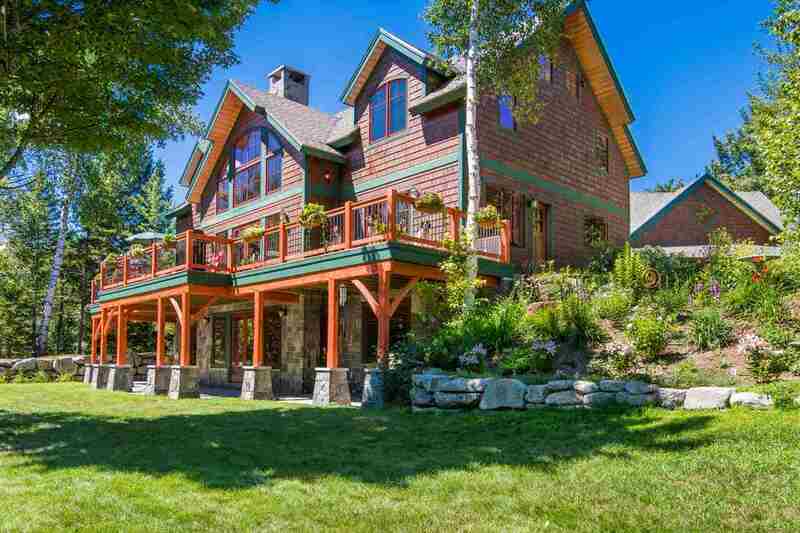 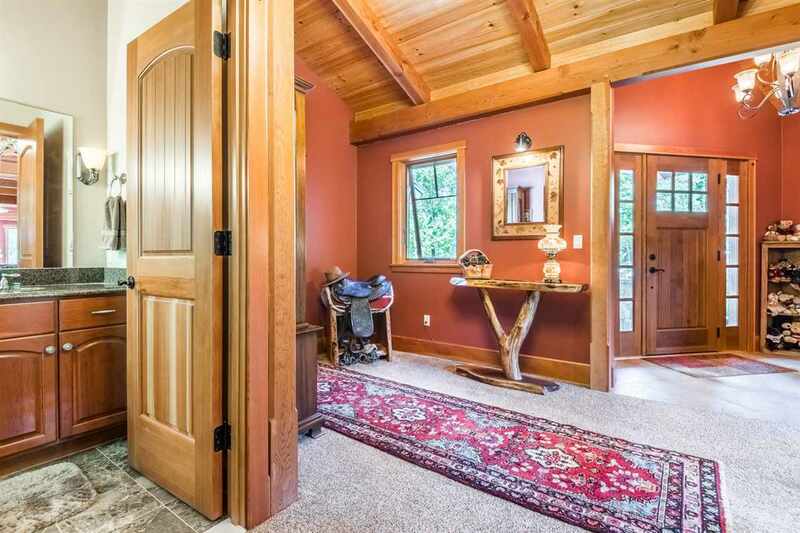 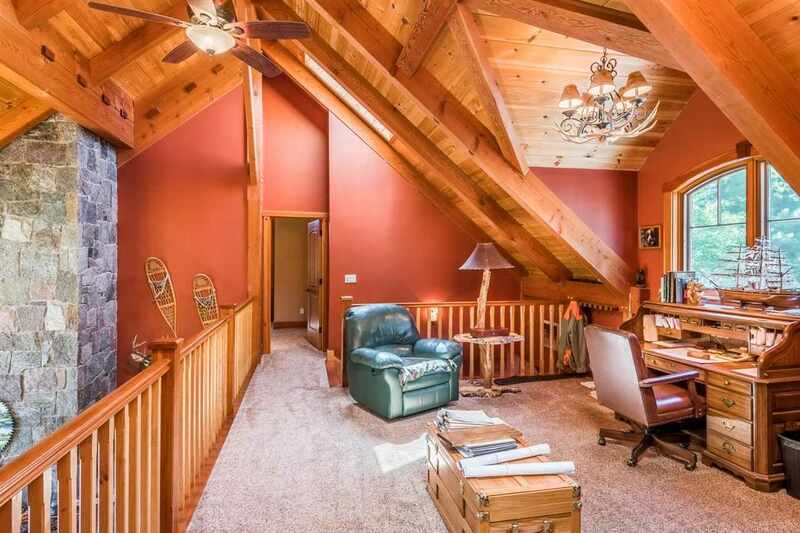 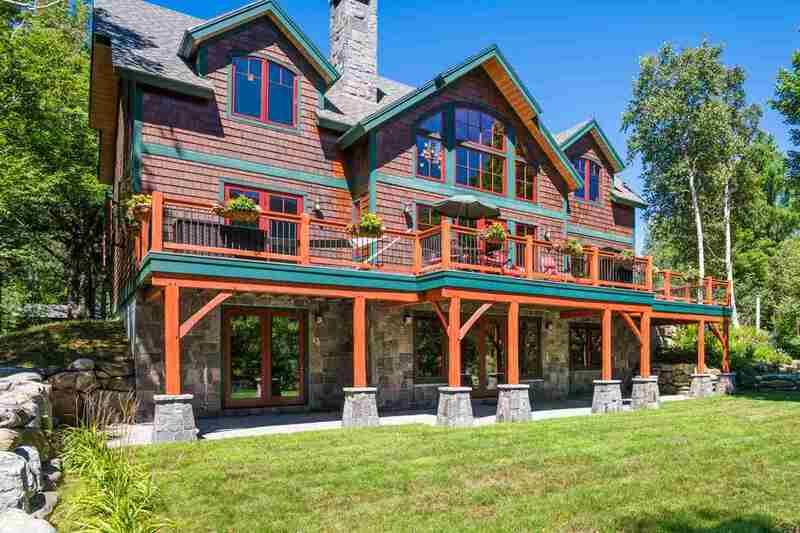 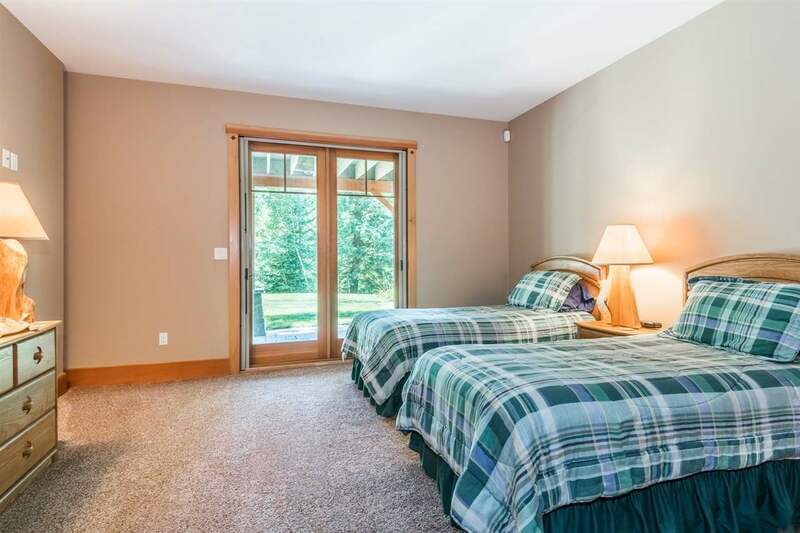 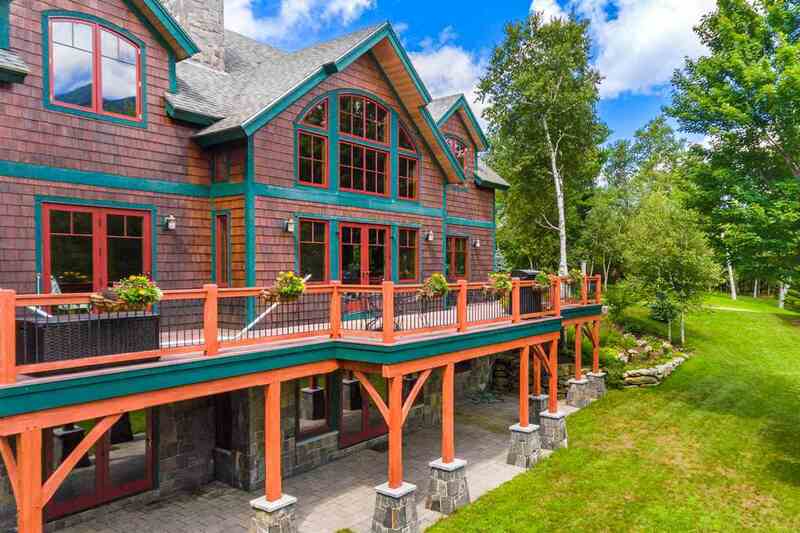 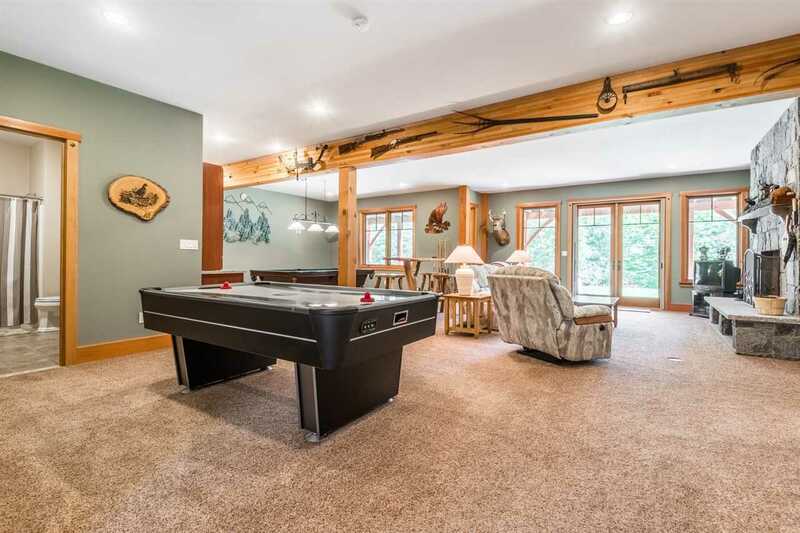 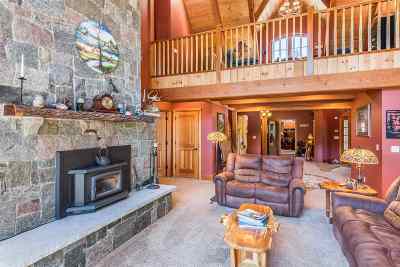 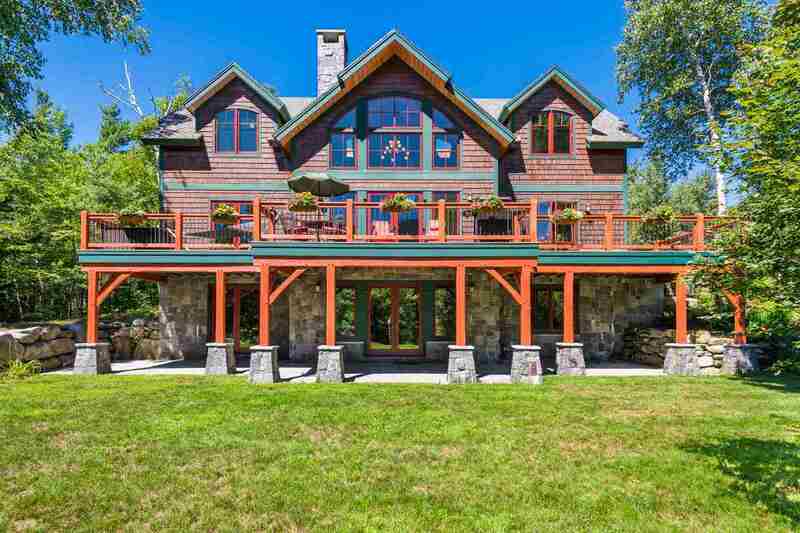 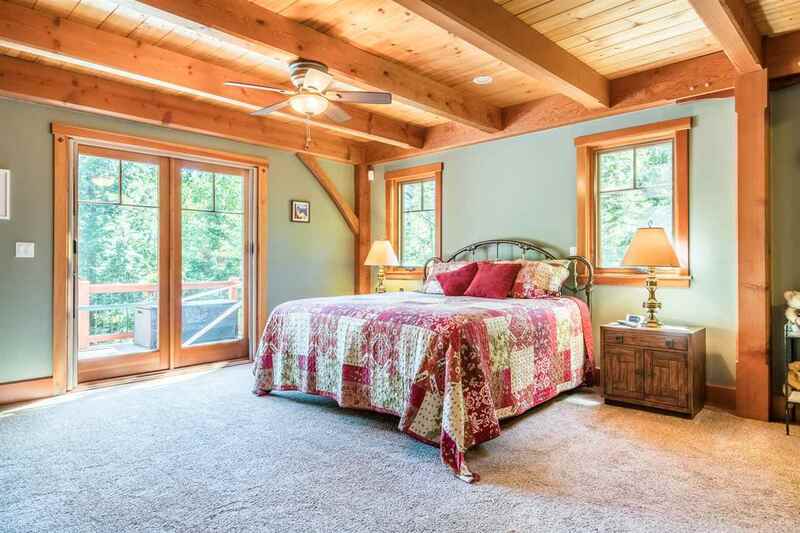 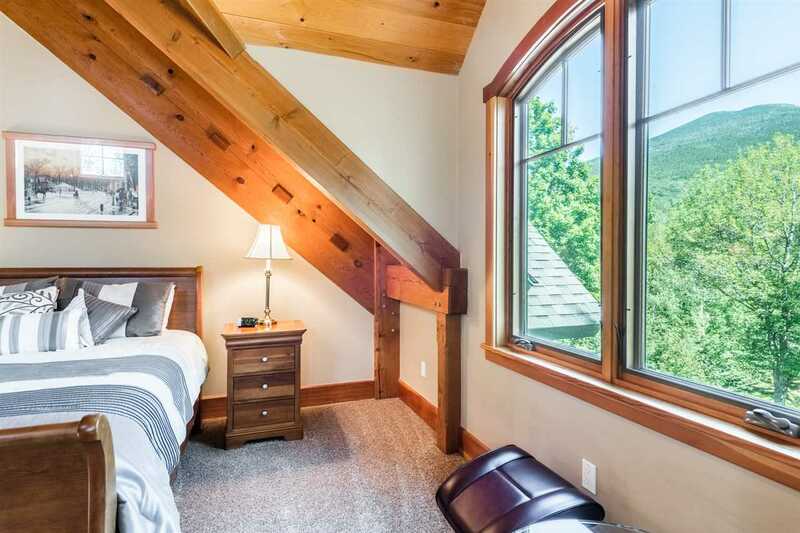 58.12 +- acres with Phenomenal, "BensonWood" Timber Frame Home in the heart of Easton Valley. 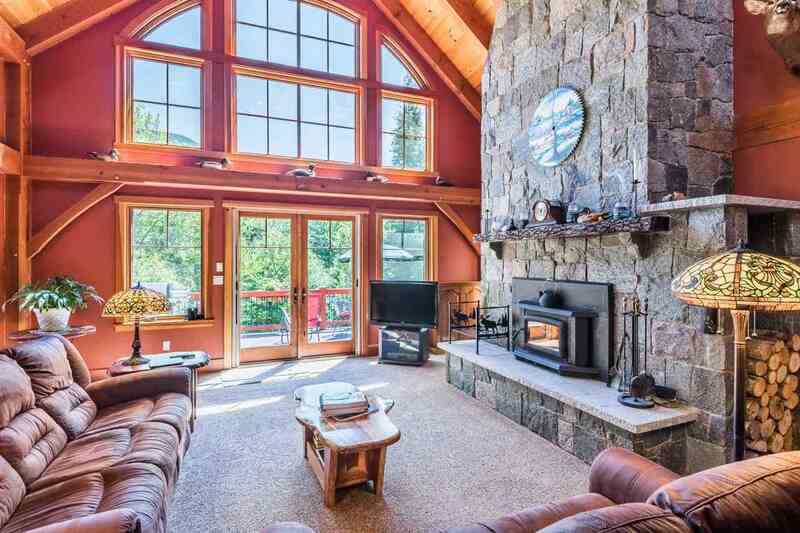 Experience &apos;up close and personal&apos; views of the Kinsman Range. 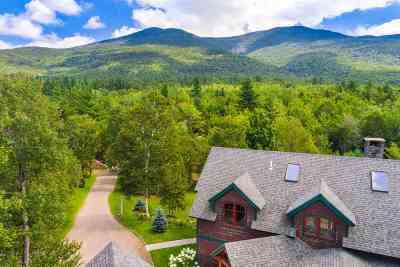 Look into the adjacent White MT. 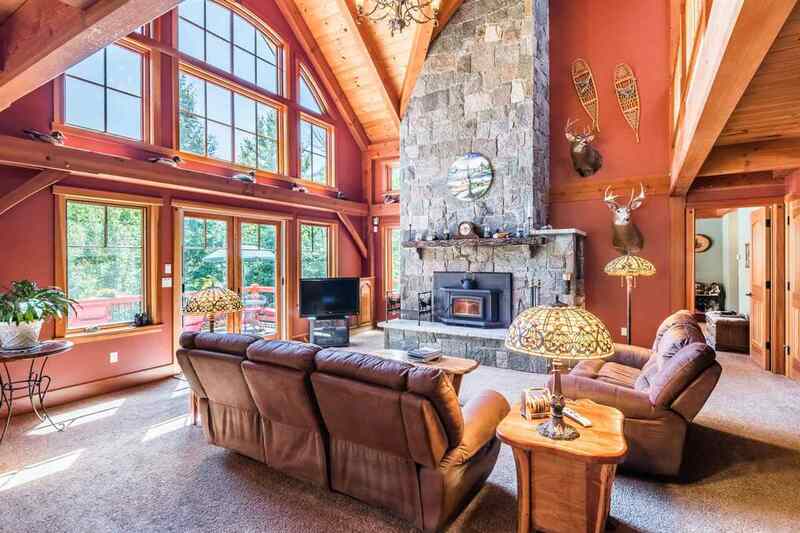 National Forest from the expansive, wrap around deck and floor to ceiling windows that punctuate the entire facade of this red cedar clad "Hunting Lodge". 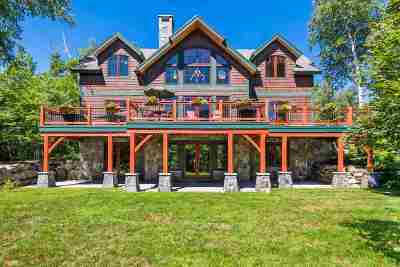 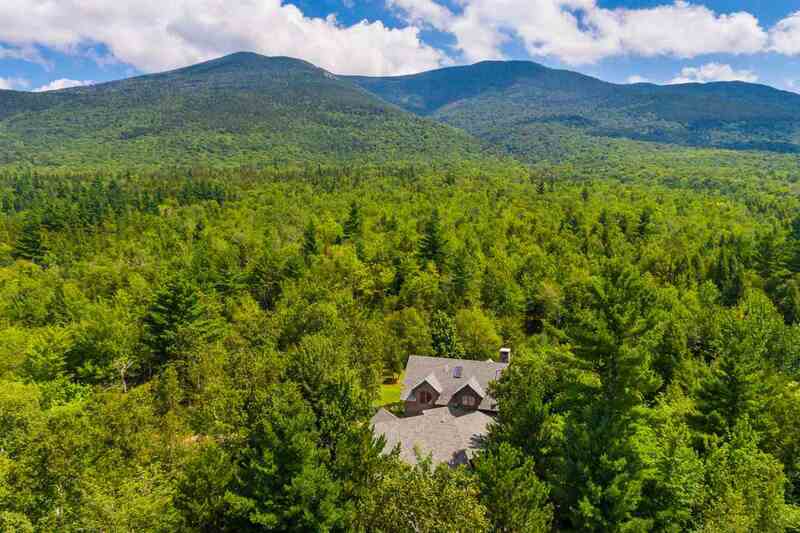 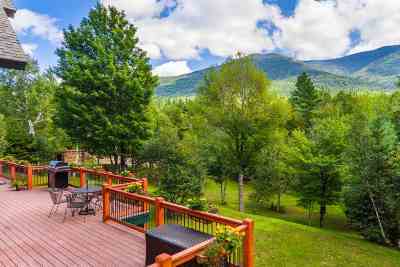 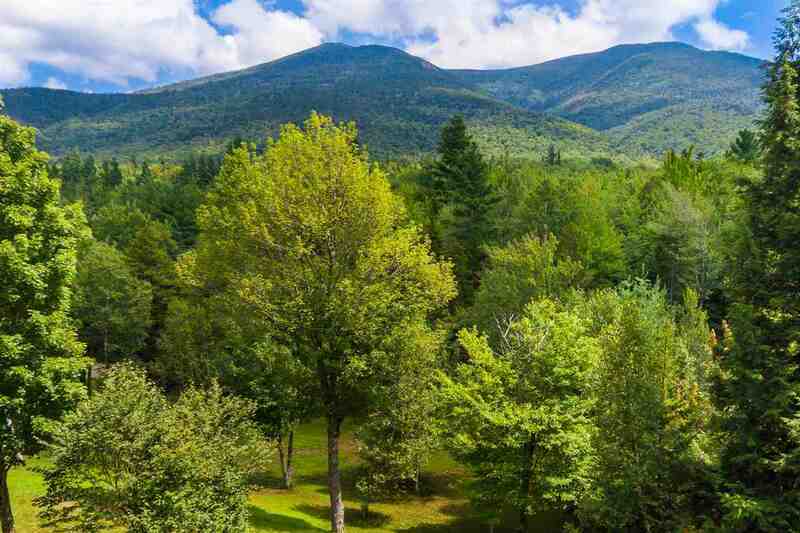 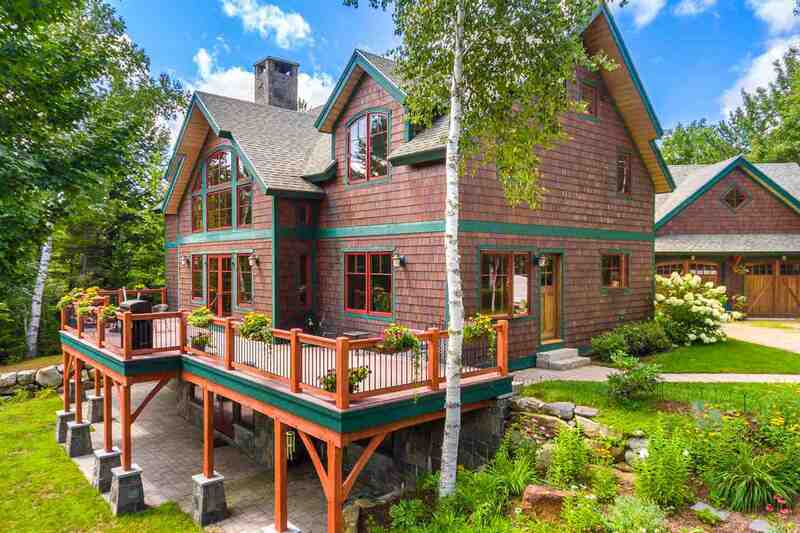 Without question, one of the most spectacular and private settings in the White Mountains featuring extensive trail systems, swimming pond, detached barn / workshop. 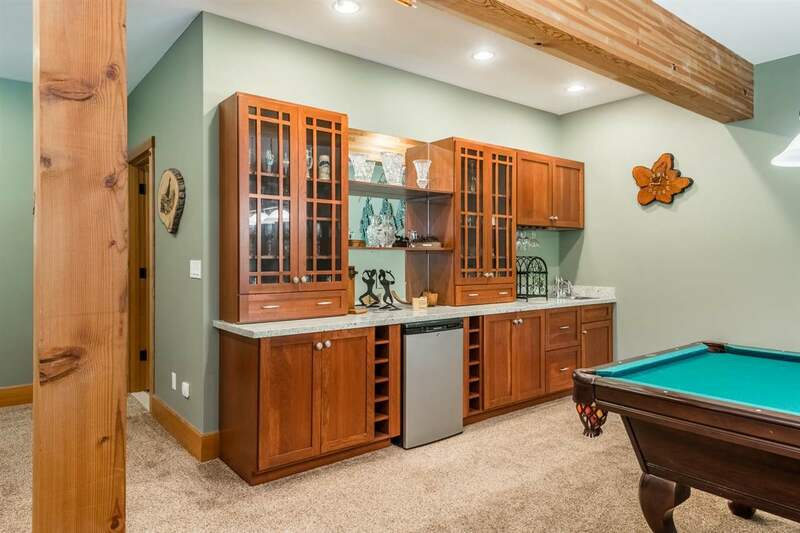 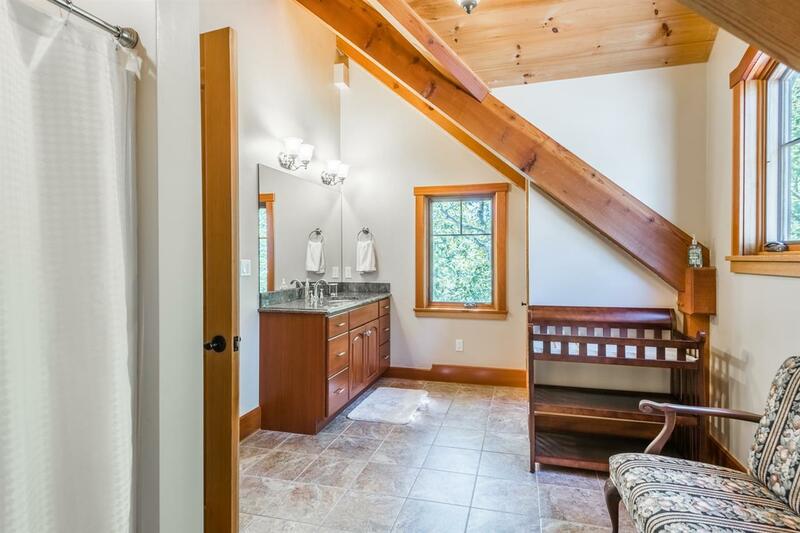 Enter from the attached garage through a butler&apos;s pantry, wet bar and laundry area. 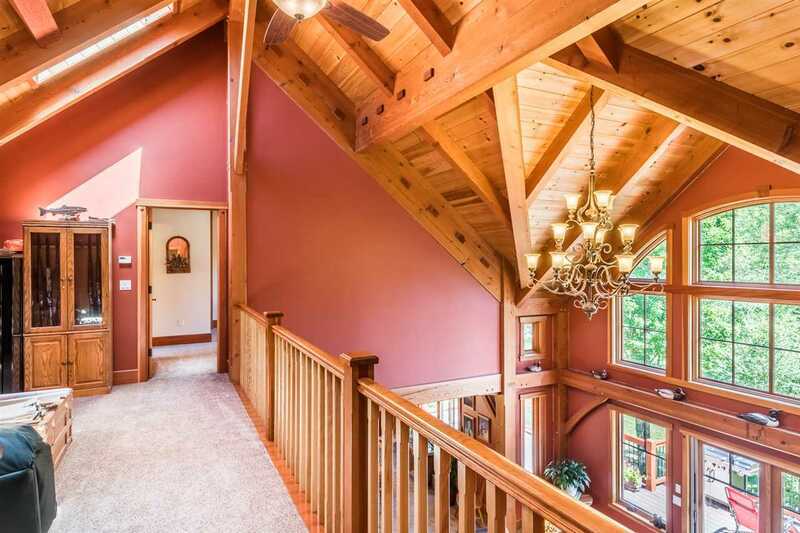 Soaring cathedral ceiling in the Great Room allows natural light to fill this open concept space. 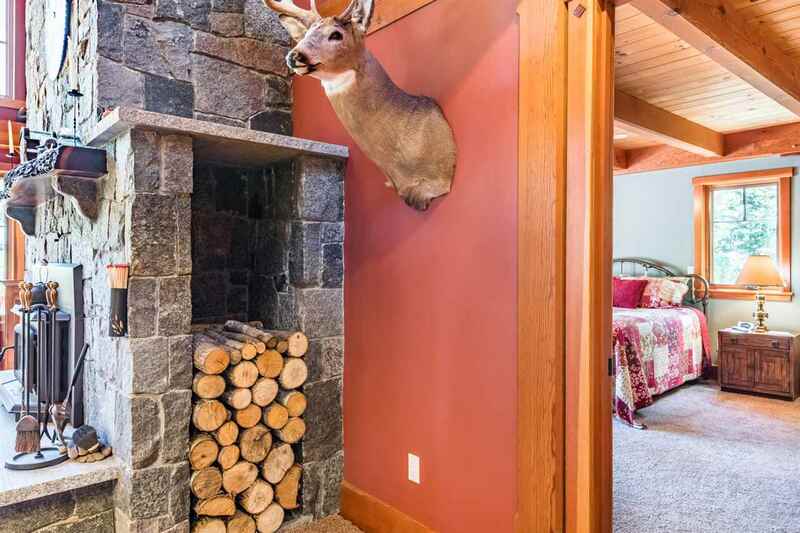 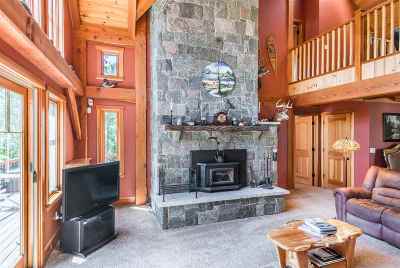 Striking granite block fireplace with efficient wood stove insert creates the setting & mood for this rustically refined mountain retreat. 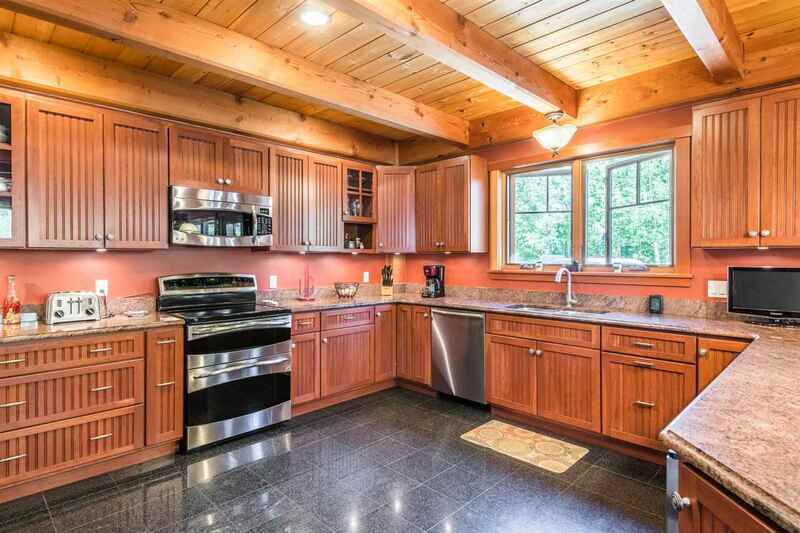 Granite counter tops & stainless steel appliances give the chef ample room to create. 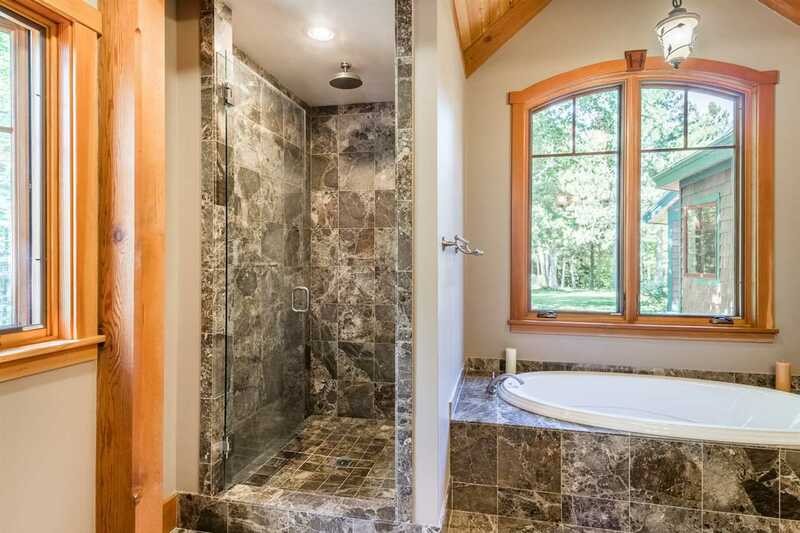 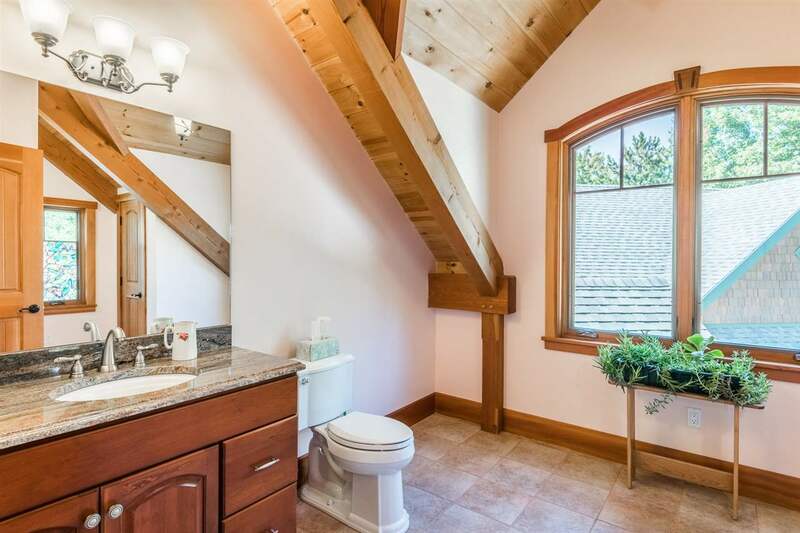 Strategically located first floor Master En Suite with soaking tub, separate shower and generous space. 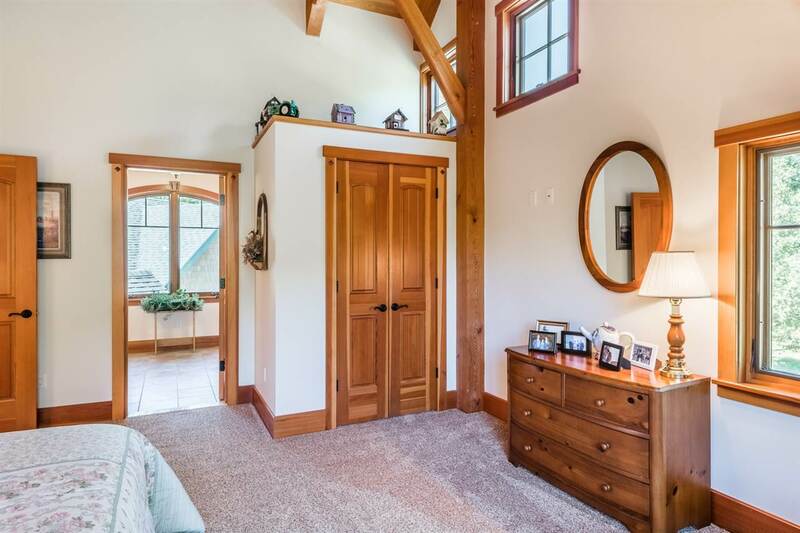 Up the cherry stairs to an open loft / office area allowing for a bird&apos;s eye view of exquisite post & beam joinery plus MT. views. 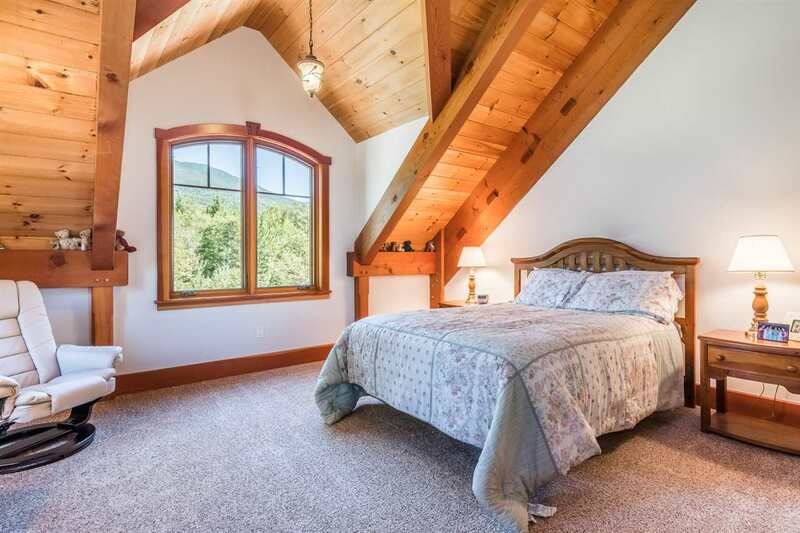 Two additional En suite bedrooms flank the loft; open, airy with the same vista. 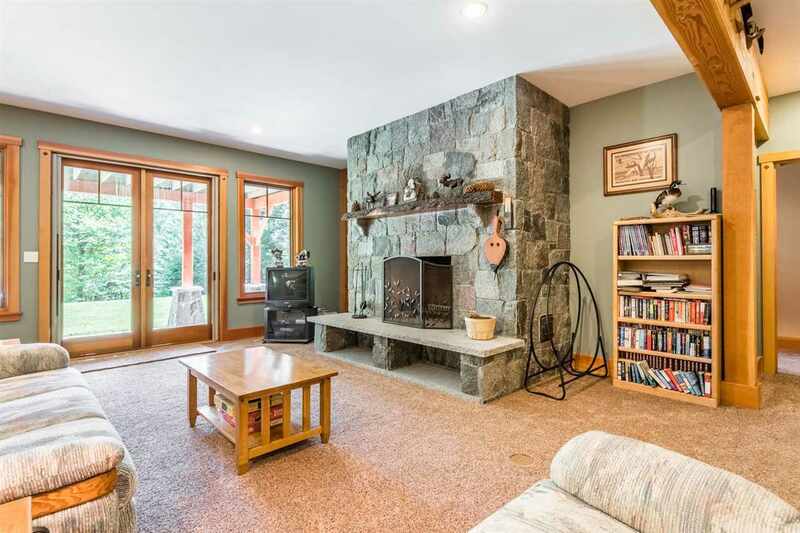 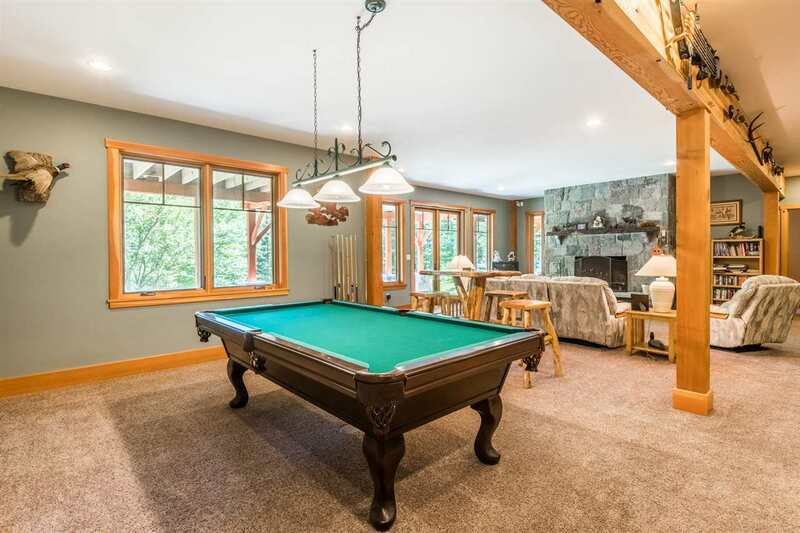 Garden, walk out level warmed with a bold fireplace which anchors the spacious family / game room. 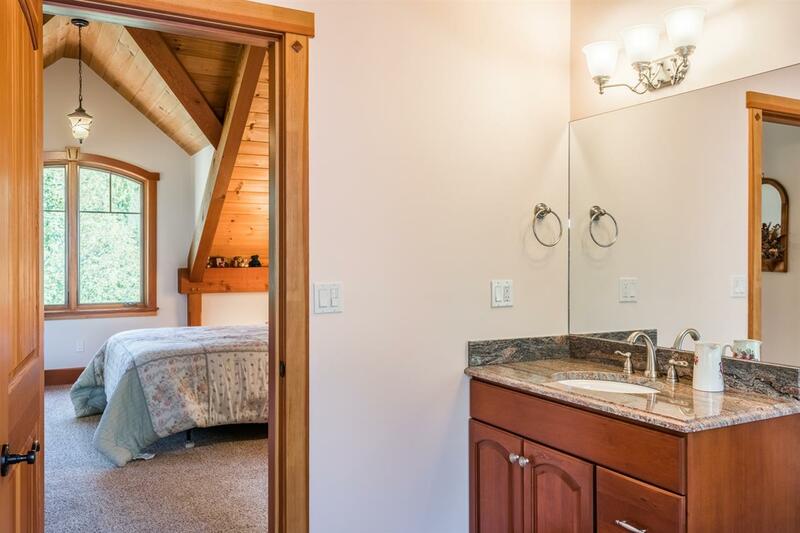 Another bedroom, bathroom and work out room complete a separate and private space for family and friends alike. 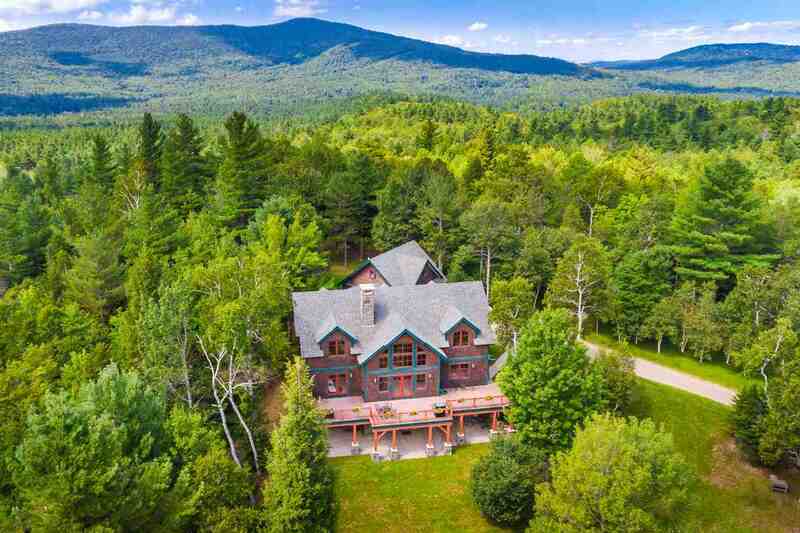 Truly the home of a lifetime.